We are halfway through the year! You might either be on track for your year-end goals or you may find that you are stuck and struggling to make good headway. You may want to find expert advice at this point if you are struggling. Mentors and coaches are a great source of advice and support for improving your performance. This article will hopefully give you some ideas on how to pick the best mentor or coach and the costly mistakes to avoid. So what should you look out for when choosing your mentor or coach? I find that most people are really fixated on the “celebrity” of coaches/mentors rather than really understanding how relevant personal experience is to what they want to achieve. When looking for a mentor or coach, look for people that you can learn from and who you instinctively feel have something to teach you, whether they have the glitz and glamour of celebrity or not. This one tip could save you a lot of money as most celebrity coaches come with hefty price tags. It is not about the celebrity; it's what they can do for you. At one end you'll find people who chase the celebrity, however others want everything for free! At Forward Ladies, we often hear "I can't afford it". The real question we should all be asking ourselves is "Can I afford not to?” Trust your instincts and stop talking yourself out of things when you know you need them. Every time you push back on getting the help you know you need to take the next bold step in your career or business, know that you are delaying your success by the same timescale. You can find a coach and mentor at any price these days. From free to several thousand per day or even per hour. Find a coach in a price range that stretches you enough so you are committed to the relationship. I find that people either don’t want to pay anything because there is so much free stuff online or they want to pay so much more than they can afford. Coaching is an investment and most good coaches/mentors should give you a return on what you spend with them. So go with the person that can give you the best results for the investment that you are making. “If you think a professional is expensive, wait 'til you try an amateur.” ― Paul "Red" Adair. Coaching and mentoring are not quick fixes. If you are looking for quick fixes then prepare to be scammed! You will fall prey to some of the hype marketing you see around. I know people who have had the same coaches for years and they tend to have the most sustainable results. Growth comes with consistency. Find a coach or mentor who feels like a part of your inner circle or team. You wouldn't change your great accountant and lawyer every year so when you’ve found a great coach or mentor, try to hold on to them. Focus on building a strong foundation of experts who are loyal and understand you and the journey you’ve been through. You’ll be amazed how much more you get out of people who know you are committed and respect your work ethics. If you are the type of person who goes coach/mentor hopping, looking for the new quick fix then STOP! It is not doing you any favours. Of course, if a coach or mentor isn’t adding any value to your life then change them and find someone who can. Call me a romantic but there has to be chemistry and integrity. From personal experience, there has to be good rapport in any working relationship for you to get the very best out of the people you are working with. Do you feel you have or will have a good rapport with the person you want to work with? Do they understand you and some of the challenges unique to your circumstances? Can they relate? I’ve heard people say that they thought a coach would be ideal but once they started working together, they realised that they had different values and beliefs about core aspects of their life and business. You get far more out of your coach or mentor when you are working with the same values and you actually like each other. Invest real time and energy in maintaining a great relationship and try your best not to become over-demanding or to take their time for granted. You both have to come into the relationship committed to doing the work so you can get the most out of it. What’s their area of expertise? Some of the great mentors and coaches I know don’t have a formal qualification but what they do have is an expertise in a specific area which helps make a real difference to the people to work with. Find someone who expertise fills a skills gap in your support network; someone that really inspires you and has a different way of seeing things. What specialist skills, perspective, experience does your mentor bring to the table? Do you need a coach or mentor? Coaching and mentoring are different things. Although they use the same skills and approach, coaching tends to be goal and task driven whereas mentoring is a long-term relationship. Your mentor should be someone whose successes inspire you and you have aspirations to pursue a similar path. In my experience, coaches tend to be more proactive because they tent to be paid. You need to understand very clearly how you want to work with your coach or mentor. What results do you want to achieve? What is the time commitment? What do you both need in place to get the most out of the relationship? Getting these things wrong can be a real deal breaker, as lack of clarity or structure will have a knock-on effect on everything else that you do and whether the experience is negative or a real game changer for you. 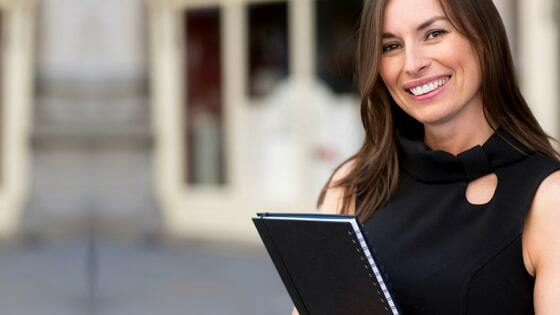 I hope these points help you to find the right business coach for YOU as you plan for more success this year and beyond. Where to find a mentor or coach? 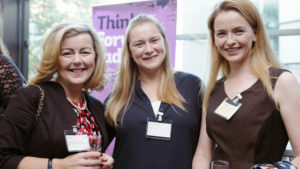 As part of our commitment to supporting and developing women in business, Forward Ladies offers a #PayItForward mentoring programme at our monthly Power Business Breakfast Clubs. This exciting Forward Ladies members’ resource sees winners from the FL National Awards reaching out to women attending our monthly regional Power Business Breakfast Club networks and providing a 10-15 minute presentation on their personal business journey followed by a “speed mentoring” session, in which they will provide focused one-to-one mentoring to Premium Members who have pre-booked an appointment with them.